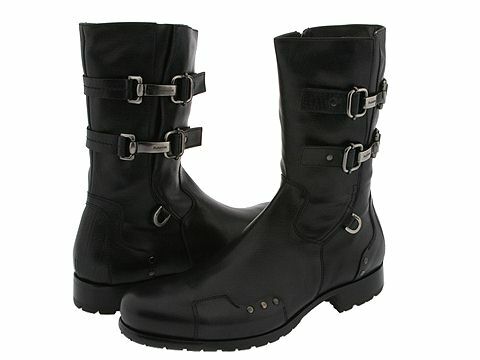 Edgy boots for the man with high fashion style. Rich leather upper with hardware details. Instep zipper. Leather lining. Combination leather and rubber sole. Made in Italy.